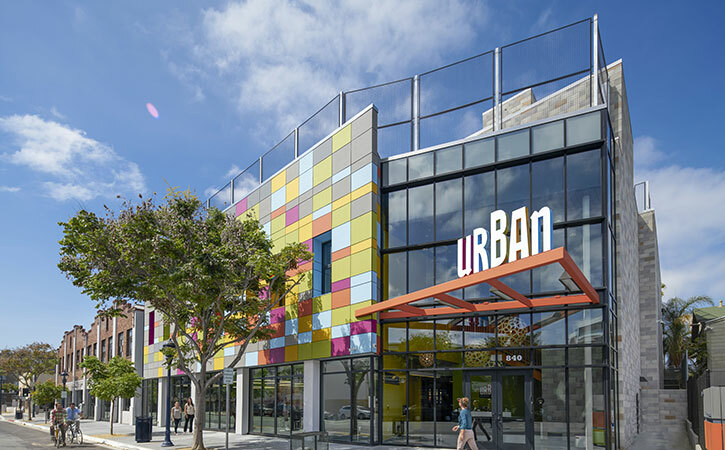 This state-of-the-art school located in the I.D.E.A District of Downtown San Diego’s East Village combines the renovation of an existing historic structure with new construction that is designed to inject modern, architectural elements into the East Village streetscape. 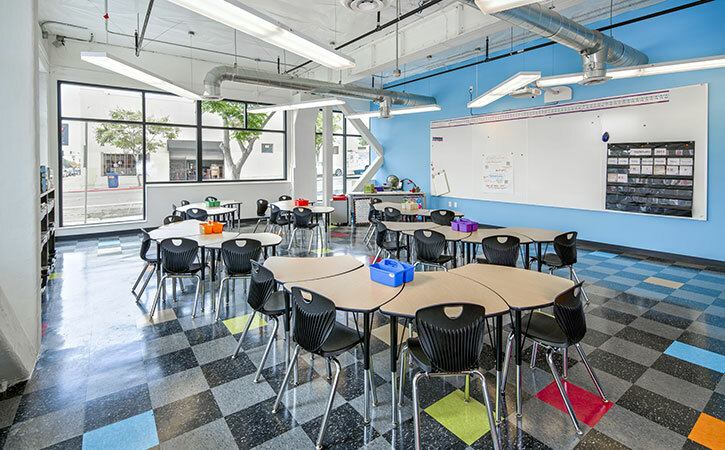 Amenities include: 19 classrooms, a performing arts space, a visual arts studio complete with a kiln, silk screening, paper making equipment and a darkroom, a library and computer lab topped off with a dramatic rooftop playground with a 100-year-old cast bronze bell and spectacular views of Downtown. 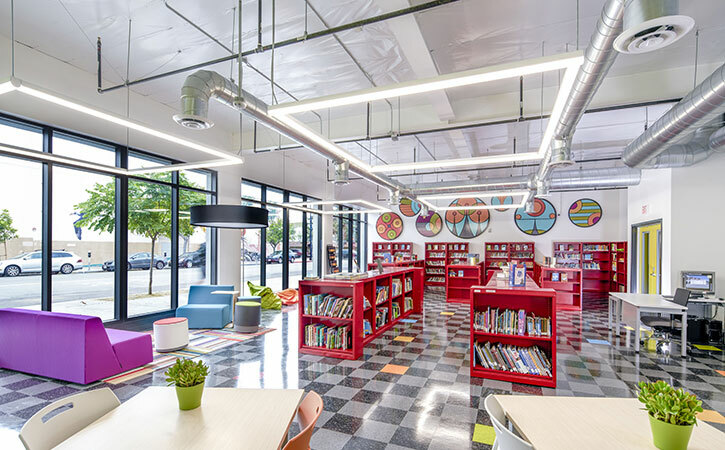 Other amenities include: a reception/lobby area, administrative offices, a faculty lounge/workroom, conference room, storage rooms, multiple restrooms and a surface parking lot. 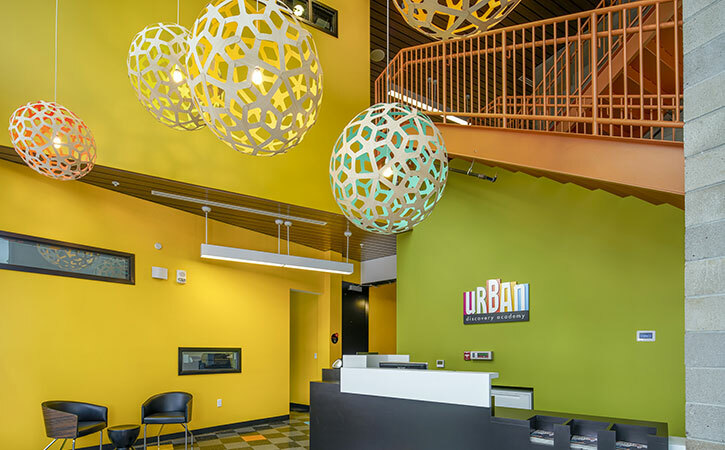 The project design provides a dynamic combination of new and old, contrasting a symmetrically composed repurposed brick masonry building with an asymmetric multi-colored contemporary structure.